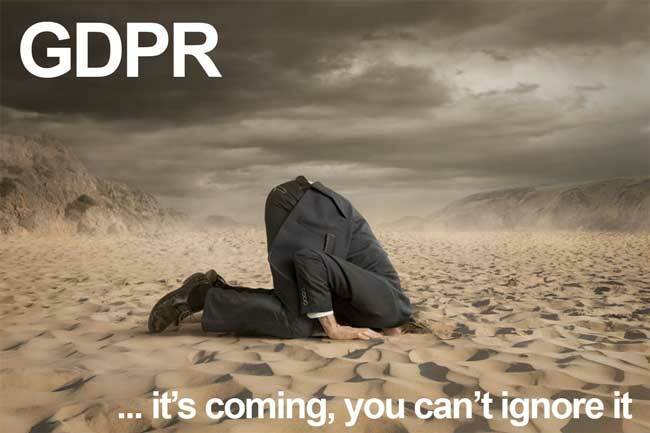 How are your preparations for GDPR compliance going ? Hopefully you are well under way with this now as the deadline of 25th May 2018 is fast approaching. Research by the Federation of Small Businesses (FSB) in the UK in February 2018, indicated that more than 33% of small businesses had not yet started preparations for compliance with the new General Data Protection Regulations (GDPR) and only around 35% were in the early stages of preparation. More recent research indicates that small businesses still are not prepared for the deadline on the 25th May 2018 and in fact, many of them are putting funds aside in expectation of fines from the Information Commisioners Office (ICO) who are responsible for policing the new law in the UK. As a small business, you need to do something rather than nothing. It is important that you can demonstrate that you have at least taken steps towards compliance of GDPR otherwise you could be subject to fines from the ICO. GDPR covers your complete business and processes for collecting, storing and handling personal data but a good first step would be to look at your website since there will definitely be some changes required. Each website will probably have different requirements so each needs to be assessed individually. The ICO have said many times that they will be a fair and proportionate regulator and that fines generally will be a last resort but that doesn’t mean you can ignore it. They also said recently, “the 25th May is not the end of anything, it is the beginning, and the important thing is to take concrete steps to implement your new responsibilities — to better protect customer data… “. I would be happy to help you review your website and implement the required changes for you, just let me know and I can schedule it. previous post: Are you wondering what “Not secure” means in the address box of your web browser ?